Here is a really awesome LEGO project by DrewRaub. Here he has an Imgur album detailing the design and building of his SWTOR MOC. Those of you who have been reading our site for awhile know that I am a huge nerd for all things LEGO and all things Star Wars so of course, I’m a fan of SWTOR/Star Wars LEGO sets. While this is a very niche set, the OP could still post it to LEGO ideas, as they are great about monitoring it and getting fan favorites into action. 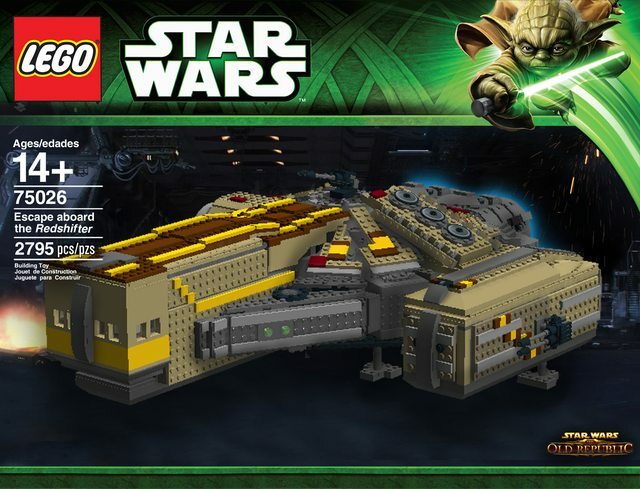 You can also order/buy the pieces and build the set yourself but it will run you around $275-300 based on the creator’s guidelines and the current cost of LEGO bricks. Whether you want to get it and build it yourself or just admire the great creative job by Drew, it’s pretty awesome so we’ll share his full album below so you can check it out too. It’s one of the ships from The Old Republic, inspired by the Ebon Hawk and it won’t be a quick or easy build if you decide to do it yourself. The creator admits it took a long time. I love all the details, including how it opens up to reveal the inside. Multiple Live-Action Star Wars Shows to Arrive on Netflix?